In 2015, Tolix will celebrate the anniversary of the iconic “Chaise A”. 80 years old and not a single wrinkle! The “Chaise A” has not aged in 80 years. The chair has long been very popular due to its light, strong and stackable construction and over time has become an icon of design that can be found in various collections, such as the Vitra design Museum, the MoMA and the Centre Georges Pompidou. Born in Autun/Saône et Loire, a Burgundy town close to Morvan where it still is produced today, the Tolix “Chaise A” became a jewel of the industrial design between the First and Second World Wars and has since then conquered the entire world, not just on café terraces but also in country houses, lofts and modern flats. Xavier Pauchard, a pioneer of the galvanizing process and a visionary manufacturer created this metal chair, available today in 45 different colours and 5 varnish coating. 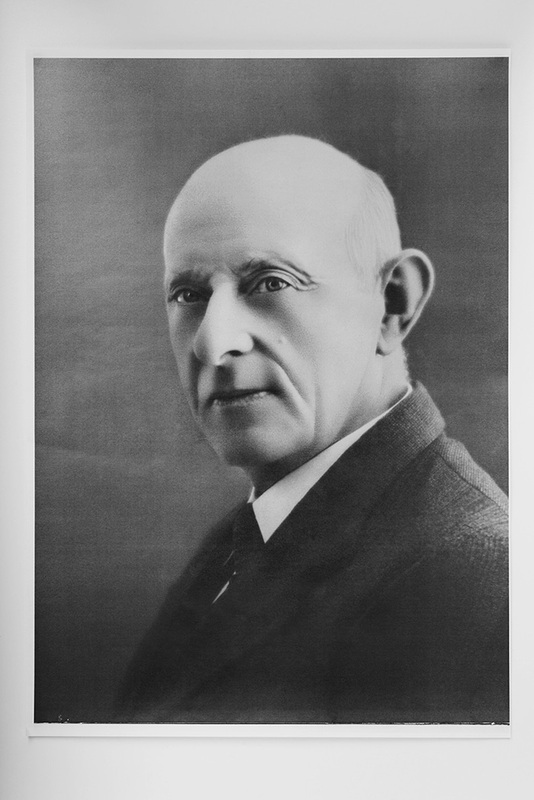 Born in 1880, he was the son and grandson of zinc roofers. At a very young age, he became interested in the chemical process used to protect sheet metal from corrosion. The theory of coating iron by dipping it in molten zinc was first proposed in 1742 by the French Paul Jacques Malouin, and Luigi Galvani, galvanizing’s namesake, professor of physiology at Bologna, also worked on this invention at the end of the 18th century. This technique, however, was, except in the United States seldom put into practice at the beginning of the 20th century. Sheet metal is galvanized when immersed in a hot melt zinc bath of 450°C, and thus protected against rust. Xavier Pauchard, who had been working with sheet metal since he was a boy, ordered a technical manual in English and had it translated by his daughter. After weeks of experiments in an abandoned lot, he succeeded in galvanizing the first parts in 1907. Very soon, Xavier Pauchard would set up a business selling household items made of galvanized sheet metal, and then a fairly successful range of furniture made of the same metal. After the First World War, he wanted to grow and set up a limited company with two friends in 1925. Two years later, he registered the trademark “Tolix” to protect the production of metallic furniture: chairs, armchairs, tables, pedestal tables and stools. There was a strong demand coming from the communities. It was important to produce series of simple and beautiful articles. The “Chaise A” was created to meet these requirements, without previous design but after several prototypes were built in workshops. This pressed, folded and welded chair has a very simple design, with its arched back, its famous palm-leaf motive, and its funny legs, rounded in the front, curved in the back and slightly flared to allow the chair to be easily stackable. Stiffeners were added to the legs in 1938 and to the palm-leaf motive in 1960. Xavier Pauchard succeeded where many Bauhaus designers as well as the French Union of Modern Artists failed: by creating aesthetic as well as democratic furniture. The “Chaise A” was launched on the market 1935. 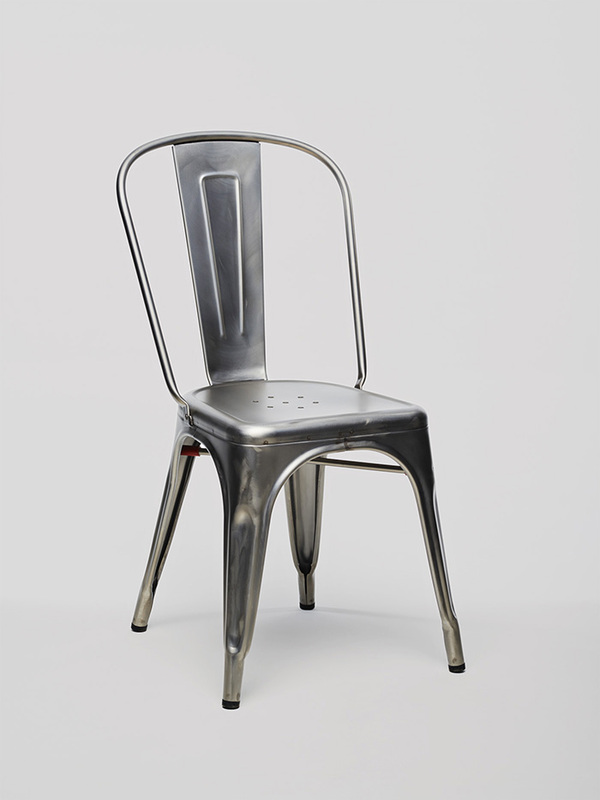 The chair would be purchased for collective use for many years: hundreds of copies would leave the Pauchard facilities to equip thermal water areas, parks and terraces but also hospitals, sanatoriums and offices, because its sole material, galvanized metal sheet, is fire-resistant and hygienic. For the same reasons, as early as 1935, it would set out on board the “Normandie” together with Ruhlman furnitures, Jean Prouvé seats and Christofle silverware. But not on the same deck: closer to the people, the “Chaise A” (as well as its little brother, the C Armchair) was intended for deckhands and firemen. After the war, under the leadership of Xavier Pauchard’s sons (as he died 1949) and especially of Jean, who would take over the furniture activity in 1954, the chair would have two more decades of popularity, especially in the cafés. In the 50’s, the beer brewers used to offer seats to their customers willing to sign an exclusivity contract. The “Chaise A” was to benefit from this large-scale marketing strategy until progressively more plastic began to replace metal as the material of choice for outdoor furniture. It was not until the 80’s that enlightened amateurs of authentic design like Jean Claude Maugirard (Fenêtre sur Cour) or Terence Conran would become interested in the chair. Its production would start again in galvanized sheet metal, its original finish, which had been given up a long time ago because the chair was then too heavy and more expensive than painted sheet metal. Presented at the Maison et Objet fair, the chair would enter the house: living room, kitchen, bathroom and even bedroom. In the 90’s, Habitat and later Conran offered the chair in their catalogue. Simultaneously, at a time when industrial design was still affordable, small collectors were fascinated by this chair, well embedded in the general subconscious. In 2004, the Tolix company went bankrupt and was then taken over by its financial manager, Chantal Andriot. Under her leadership, Tolix Steel Design invested in the renewal of its production tools, which had remained practically unchanged since Xavier Pauchard’s time. In 2006, Tolix was accredited as one of the “Entreprises du Patrimoine Vivant” (Living Heritage Companies). Still very much alive and well, the “Chaise A” is a labour of love which requires one hundred steps to produce a unique original.